Grande Amore has won many awards in the US, Germany, and Europe. Vibrant red blooms on stems with dark, semi-glossy foliage. Low maintenance, disease resistant plant. 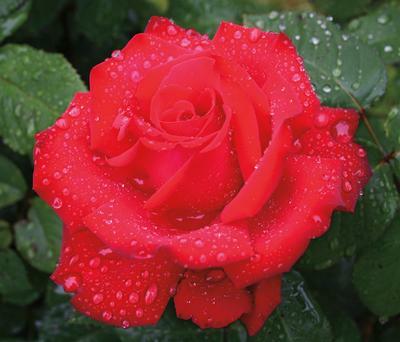 Grande Amore has won many awards including: the German ADR, 2005; Portland's Best Hybrid Tea, 2010; Rose Hills International Rose Trials Gold Medal, 2007; and numerous awards in Europe.